So far this winter has been a strange one. 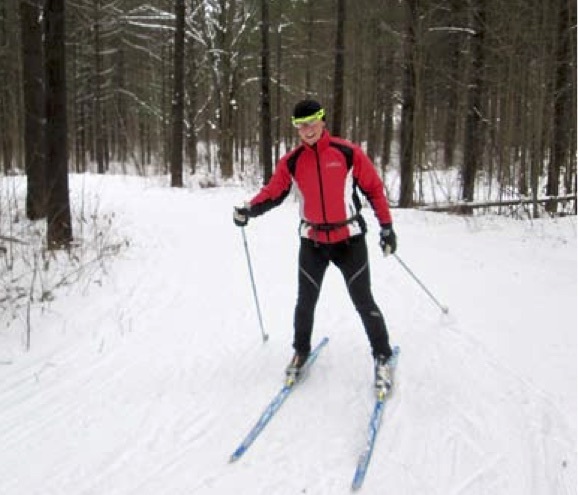 Someone referred to it as a toilet seat winter, the fellow that writes the trail reports at Highland Nordic called it a Groundhog Day Winter… repeating mild, cold every other day. Whatever is causing it; El Niño, La Niña, climate change or that windbag to the south, it has been frustrating for those of us who want to ski. You can also email me if you wish to help out this Sunday, January 20th, for our World Snow Day event… Free to Ski! I still need some volunteers to do snowshoe or ski tours, help with registration or a sundry of other duties that will crop up. Also, remember to ask neighbours, friends, and family to come and try our trails on Sunday. 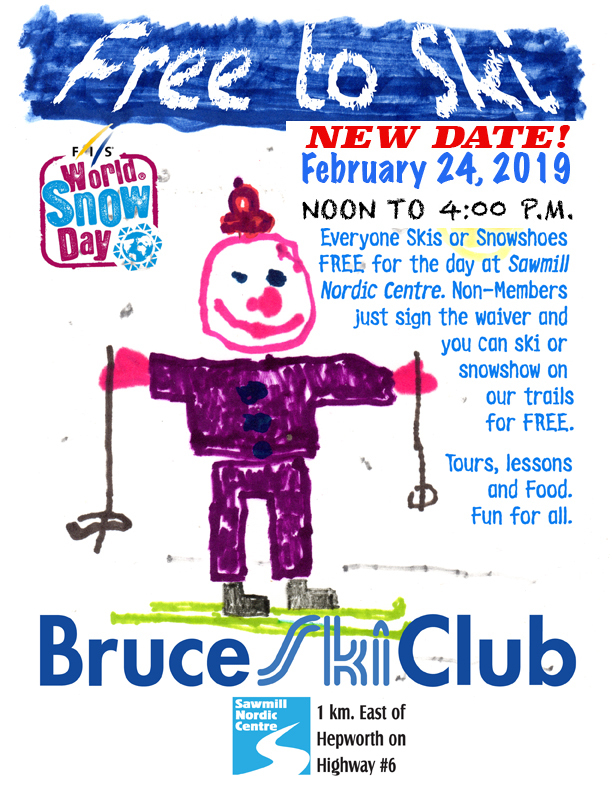 Free-to-Ski Day – Sunday, February 4, 2019: Everyone skis and snowshoes for free at Sawmill Nordic Centre. Non-members, please sign a waiver (available at the ski hut) before heading out on the trails. Tours, lessons, and food. Fun for all.